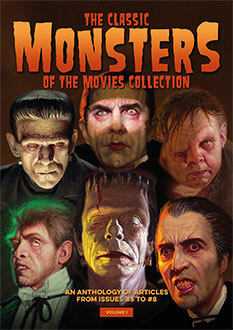 Lon Chaney Jr: Heir to the Monster Throne – a stunning tribute to one of horror cinema’s favourite stars. As the son of the legendary Man of a Thousand Faces, Lon Chaney Jr had a lot to live up to, but his career saw him step out of his father’s shadow and establish himself as a horror movie icon in his own right. 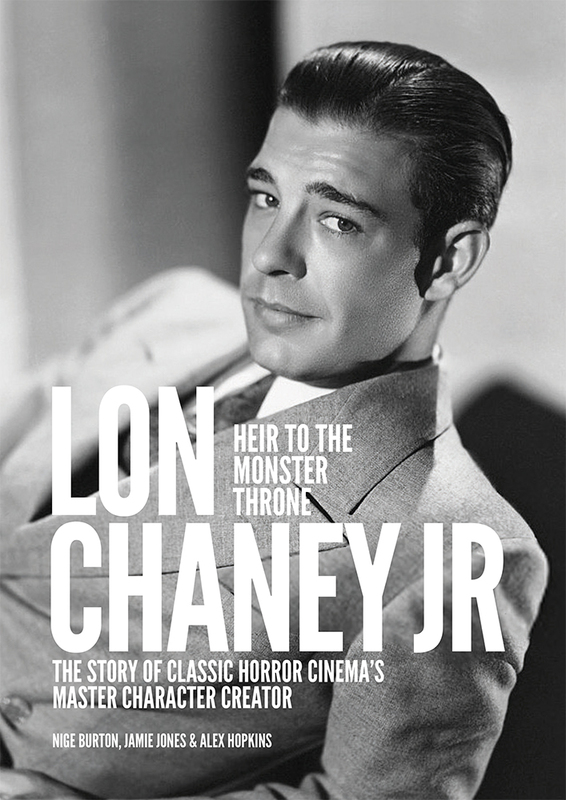 Classic Monsters presents Lon Chaney Jr: Heir to the Monster Throne, a beautiful publication celebrating the life and work of one of classic horror’s most recognisable stars. Presented in rich full colour, and produced to the highest standard, this sumptuous biographical publication is a true collector’s item. The lustrous matt cover features rich gloss highlights, while the crisp inner pages are packed with vivid colour imagery and high-quality image reproduction – not to mention an insightful journey through the eventful life of the man himself. From his turbulent early life, through the ups and downs of his career to his status as the star of some of horror’s most beloved motion pictures, our Lon Chaney Jr biography is the perfect companion to his many movies. From Dynamo Dan the Electrical Man in 1941’s Man Made Monster, through tortured Larry Talbot in The Wolf Man (1941), to the vampire Alucard in Son of Dracula (1943), his many monstrous performances made him the face of horror for many a monster kid. But of course, there was plenty more to his life, and this lovingly written Lon Chaney biography explores his off-screen character too. As a defender of downtrodden colleagues and a studio hellraiser alike, he made a huge impression on those around him; authors Nige Burton, Jamie Jones and Alex Hopkins pay grateful homage to his legacy in a way never seen before. No fan of Lon Chaney Jr should be without a copy of this unique biographical title. Many thanks for the latest spectacular – another terrific cover with a young Lon. I also loved the dramatic opening to the volume with the need to plunge the newborn Lon into an icy river – from a small start to a 6’2″ horror giant. The photo of Lon Sr when very young (one of a number of photos I have not seen before) to me, showed a close family resemblance with his young son in similar age photos. One of the best yet, once again the bar has been raised. An American Home run! This was and is a spectacular, beautiful issue and I love it. I’m telling ya, This Mag is just great! If Uncle Forry could see it I am positive he would be in Chaney Heaven! My love for the Horror and classic film started in 1958!! It had a stop for awhile but then when you started printing, it started all over again. Not that it was ever really lost but you get the general idea. I hope to see more of mag for many more eternities to come! !